Wanna know what fave pieces your fave bloggers currently have on their wishlist as part of their party season hitlist? 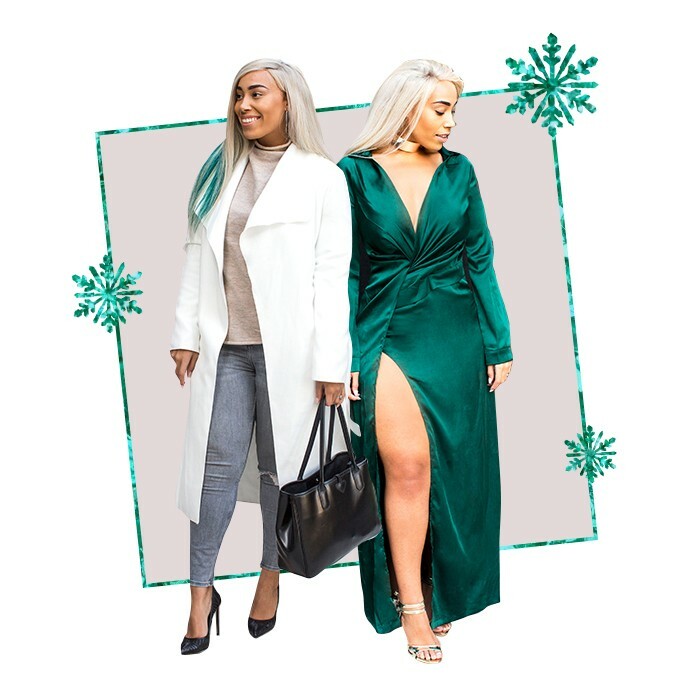 We caught up with four blogger babes to talk all things wishlisting, bad gifts and what gets them in the festive spirit at Christmas. What’s one thing that always happens on Christmas day? I stay in my pyjamas for as long as possible! I always get new pyjamas, open them first and then wear them all day. What do you look forward to the most over Christmas? Christmas Eve with my family, since I was born we have all been going to the same restaurant for a Christmas dinner. My whole family goes and we only see each other once a year so it�s really nice to take a moment away from our busy lives and pull a few crackers. I tend to wake up at around 8am, so not too early and not too late. I like to seize the day. What’s your go-to outfit for Christmas day? The comfiest pyjamas I can find and a new cosy dressing gown! Later on for dinner I usually put something sparkly on, whether it�s a cosy jumper or a new dress. OBVIOUSLY Mariah Carey – ‘All I want for Christmas’. The Christmas Eve tradition of all meeting up and going for dinner and the Christmas day tradition of keeping my pyjamas on all day. Worst Christmas�present you ever recieved? Socks! Unless they�re beautiful, fluffy, knee high ones, who wants socks?! Do you own an ugly Christmas jumper? I don�t do ugly Christmas jumpers haha, I love pretty, over the top Christmas jumpers rather than ugly ones! What’s your festive Starbucks order? Pumpkin spiced latte of course, or anything with cinnamon. �I always bake 3 apple pies on Christmas day, it’s a tradition in my family and we usually all wake up early to peel the apples and make the dough. Nothing smells more magical when they are baking in the oven. My family are scattered all over Europe and the USA, so Christmas is cherished because we all come together, that’s what I love most about the season. I wake up early to start baking. I’m terribly unskilled in the kitchen, but come Christmas day, my inner chef comes out. Pyjamas! I stay home all day on Christmas , so something cute and slouchy. An elasticated waistband is the priority! �I love the Nashville rendition of ‘Baby it’s cold outside’. My parents are seperated but live in 2 houses divided by a valley of land that is my families, so my brothers and I will go back and forth between their houses eating and opening presents! I’d say the worst Christmas present I ever received was from an ex-boyfriend – he bought me a comb. I’ve never used a comb in my life! Of course! It’s hilariously oversized, I’ve had it since I was a kid. I love chai tea lattes with extra chai and cinnamon at Christmas. Every year me and my sister unexpectedly end up buying each other at least one gift that is exactly the same, it’s an on-going joke now. Has to be Mariah Carey ‘All I want for Christmas’. It never gets old. We have a family tradition where we open one present on Christmas eve which usually means everyone trying to find a present shaped like a DVD so we can all settle down and watch a film together. Worst Christmas present you ever recieved? Spiced pumpkin latte without a doubt. I wish you could buy it all year. Home Alone. It’s a classic! Seeing the reactions of loved ones receiving their gifts. This year I got my mum Robbie Williams tickets and it’s such a win win because he’s my guilty pleasure so I get to see him too. Something sparkling until about 5pm – that’s when the inevitable new comfy PJs come out to play! Blikn 182 – ‘Happy Holidays You B*stard’. I can’t do tradtional Christmas songs, when my gym classes start playing them I die inside! I personally like to surprise my Nan in the afternoon at her house (before she falls asleep of course), however I don’t suppose it’s much of a surprise these days! Oh god, one comes to mind. It’s not so much the present, it’s the situation around it! When I was around 14 GHDs were the in thing at school… seriously, people even brought them in to use inbetween lessons… and somehow my older sister knew I wanted a pair (might have been my constant nagging and my mum tipping her off). I however had naturally straight hair and just loved the idea of using them for the ribbon-like-curling effect you can do with them. Christmas comes and woah, there they are, my sister has got my GHDs… but alas, she has got me the extra big paddle size for thick and long hair which doesn’t work for curling… because, after all, I had long hair and she assumed as a straightener, I would be using these for straightening. I was filled with mixed emotions and had to ask my mum ‘what do I do? WHAT DO I DO?!? !’ I looked like an ungrateful brat from asking her to swap them, and she’s hated me ever since basically, the end. Haha not really, well sort of… the situation still fills me with awkwardness. Don’t try and do anything nice for me guys!! There’s still an ugly Christmas jumper shaped space in my wardrobe this year. I should purchase one. I’m such a basic biatch, I still get a skinny chocolate cream frappuccino… doesn’t matter if it’s minus 5, I’ll be sipping on that sweet ice drink… however I suppose they do swap the regular cream to chocolate cream around xmas, so if I’m feeling a bit freaky I opt for that… if that counts? Does The Shining count..? Haha It’s my fave. 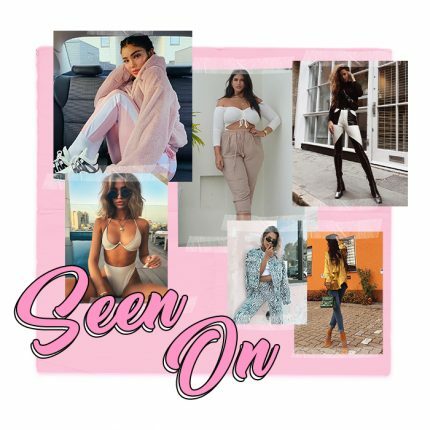 We�re offering you a chance to win a weekend break in a European party city of your choice as well as a �250 PrettyLittleThing voucher to ensure your party style is kept on point.